I watched the movie Jab Tak Hai Jaan today (Sunday Nov 25th, 2012) at the AMC Loews Rio Theatres in Gaithersburg, MD. In the Washington DC area AMC Lowes Rio, Gaithersburg has regular shows of Bollywood movies and it is a pleasure to be able to see Bollywood movies on the big screen and I am thrilled that a few days after the film's release in India I could see it on the big screen here. Globalization FTW. This was the last movie that Director Yash Raj Chopra made before his death almost a month ago and this year marks the 50th anniversary of his career in Bollywood. Homage to Yash Chopra: If you are a Yassh Chopra fan wait to see the bloopers from the movie at the end and you will see Yash Chopra in action One of the best things that Yash Chopra has done fo Bollywood movies is to shatter the image that only movies with violence will succeed. No wonder he is called the "King of Romance"
Age of the Product placement: I was thriled to see that Anushka Sharma using an Android phone early in the movie and then at least two times seeing "Ultrabook by Intel". Silver Spring based Discovery Communications features as part of the film as Anushka Sharma is a intern there. National Geographic are you next in Bollywood films ? Kartina Kaif and Shah Rukh Khan : I was surprised that this is the first film starring Katrina Kaif and Shah Rukh Khan together. I like the chemistry here and of course Katrina fulfills the role of a beautiful rich girl well( Check Katrina out, she is amazing ) . I love that the Indian Film censor Board has become very liberal in overlooking kissing scenes which was not the case decades agi when I was living in India. They did a great job in the scene for the Ishq Dance. Songs and Music : A R Rahman shows his magic and Gulzar his lyrical excellence in the songs in Jab Tak Hai Jaan that I have been listening to on Saavn and Dhingana even before I saw this movie. Rabbi Shergill's Challa song \is likely to stay in your head for a long time. 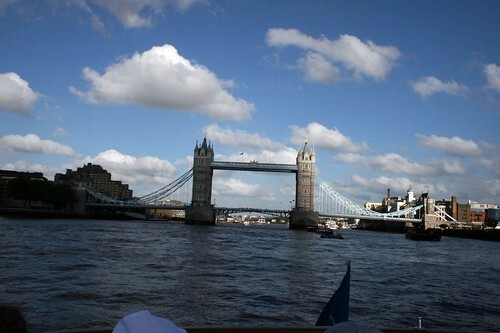 Scenes and location : If you have not visited London before, then watching the movie may incent you to visit. I am also happy that Kashmir's beauty shows up in many scenes. Jab Tak Hai Jaan is worth watching if you are a fan of Bollywood movies. Movie has subtitles in US theater even though you may not need it if you understand the language of love. This is a picture from my visit to London in 2007 and that is why many of the scenes looked familiar. Did you watch the movie ? What did you think ?